There is something romantic and magical when you photograph through flowers. With our free rose petals overlays, you can make the same unique and romantic photos that will warm your soul and please your customers without using real roses. We have designed for you a whole collection of 10 Photoshop rose petals overlays in png format so that you can simply drag the overlay to your photo, experiment with it, arrange accents and give a stylized look. 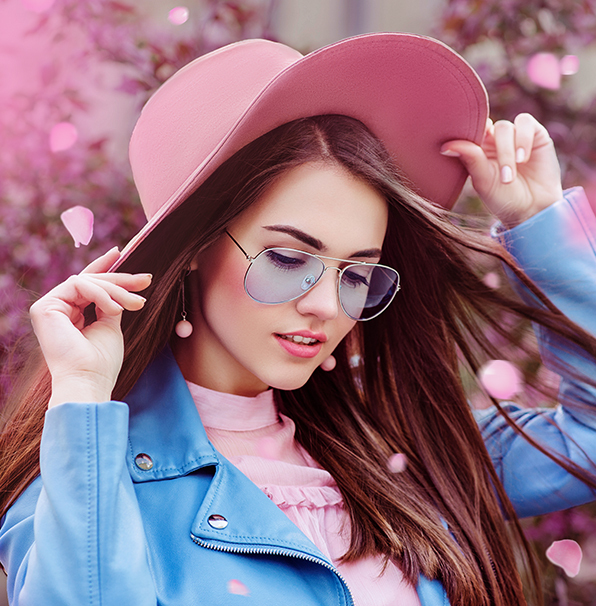 Using falling rose petals photo overlays during photo retouching, your object or subject will always be in focus, and you do not need to sacrifice of a quality of the elements depicted on the image during the photo shoot. Our free rose petals overlays can be clear or blurred; the petals can have different colors and shapes to help you enhance any photo, from portrait, wedding photos to the street and object photography and make them pop. The use of any rose petals overlay from this bundle will not cause difficulties even for beginners, you need only drag the falling rose petals overlay and drop it to the photo you need. Each overlay is made by our professional editors because our main goal is to offer the quality product to our clients. We are striving to simplify your photo retouching work and leave you more time for photographing. Use these fantastic fall rose petals photo overlays free download, bring romance and a accent even to the most ordinary photos. Our selection of overlays with multi-colored rose petals will add flower touch to your images; fill them with a dreaminess and sensuality. You can easily mix layers, change their settings and thereby create romantic atmosphere. PS Overlay #1 "Flower Rain"
PS Overlay #2 "Red Hurricane"
PS Overlay #4 "Sakura Blossom"
PS Overlay #6 "Cherry Blossom"
PS Overlay #8 "Falling Hearts"
PS Overlay #10 "Red Magic"
Everything created by nature can be difficult to catch or put in frame on photography, especially if it is moving objects, falling leaves or rose petals. Therefore, it is better to work as follows: create a crisp image, so that the object you need is in focus, and then cover these free rose petals overlays during photo editing, and at the end of these manipulations you will get a bright, creative and high-quality picture. 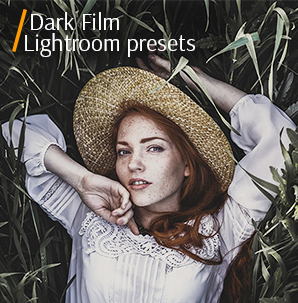 This scenario can be followed by both a beginner and an experienced photographer who knows that the combination of automatic filters and overlays saves time and money. 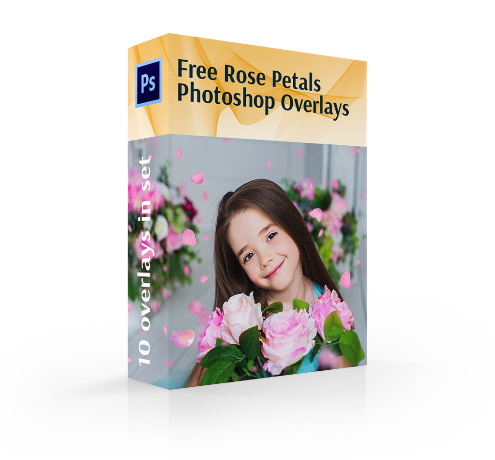 The set of 10 falling rose petals photo overlays free download, which will surprise you with its diversity. For your convenience and versatility, you will find files in high-resolution format PNG. Adobe Creative Cloud and Photoshop (versions 4-6) will perfectly cope with these overlays. The advantage of our Photoshop package is their simple and instant download. To keep the quality of your images, work with falling rose petals photo overlays on the photos that are saved in RAW and JPEG format. Rose Petals Overlay #1 "Flower Rain"
This kind of overlay will most look suit the couple pictures, wedding albums, and photos, dedicated to the holiday of all lovers – St. Valentine’s Day. This overlay #1 was taken from "Rose Petals"
Our first and classic rose petals overlay has red petals. All the petals are clear and in focus. The elements are large and are located in the foreground along the entire perimeter of the photo. Falling Rose Petals Overlay #2 "Red Hurricane"
If there are too many petals, you can erase unwanted elements using the soft brush tool. This overlay #2 was taken from "Rose Petals"
Another falling rose petals overlay chaotically sprinkles red rose petals throughout the photo. In order not to divert attention from the center of the image, the petals are not large, but clear. Free Falling Rose Petal Overlay #3 "Romantic"
Try experimenting with few falling rose petals photo overlays, for example, combine them. 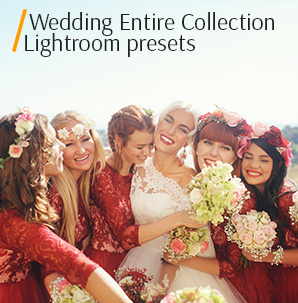 Different variations of the layers are best suited for wedding and engagement photography. This overlay #3 was taken from "Rose Petals"
This version of the layer also has red rose petals. But the difference is that the petals of the same size (middle) densely fill the entire surface of the image. Free Rose Petals Overlay #4 "Sakura Blossom"
This overlay #4 was taken from "Rose Petals"
The color of the petals is red. This part of the collection has several large petals in the foreground, and the background is blurred and fuzzy. A whole romantic photo session can be made in one style using these layers. Rose Petal Overlay Free #5 "Violet"
Try changing the hue and saturation settings, or changing the color gamut using the toolbar. This overlay #5 was taken from "Rose Petals"
This version of Photoshop rose petals overlays offers beautiful realistic clear petals of red color, which are chaotically placed in the foreground. 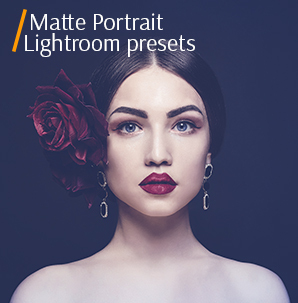 You can hide the unwanted elements in your photo with these petals. Falling Rose Petal Overlay #6 "Cherry Blossom"
Do not take a photo with a very bright, saturated background for using this overlay. Try to enhance spring photos taken out, using layers you can create a flowery atmosphere. This overlay #6 was taken from "Rose Petals"
One of the most romantic falling rose petals photo overlays from our set. It has a gentle pink color of petals. Several large blurred petals are located in the background, creating an additional background. The main petals are placed diagonally across the entire picture. Rose Petal Overlay Ps #7 "Confetti"
Use this option in scrapbooking design, for a stylish account in social networks or apply it to card and logo designing. This overlay #7 was taken from "Rose Petals"
The color of this falling rose petals overlay is lilac. On the background, a few large petals are out of focus. In the foreground, you will see petals of different sizes, randomly arranged throughout the photograph. Free Rose Petal Overlay #8 "Falling Hearts"
Choose an overlay so that the color of the petals is combined with the background, then the photo will look harmonious and realistic. This overlay #8 was taken from "Rose Petals"
This rose petals overlay with lilac petals is suitable for all your photos, as there are few petals and they are soft. Blurred petals in the foreground will give your images an additional trendy effect. It is bokeh, which helps to catch our attention on some details of the photo. 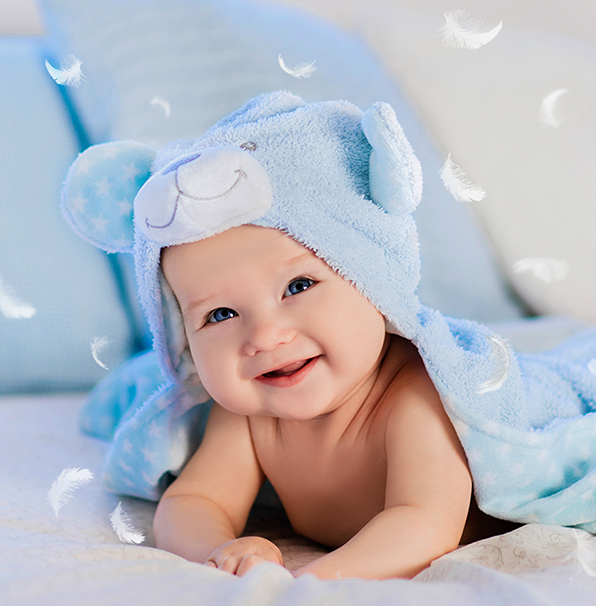 Great for newborn photos and other baby girl pictures. Rose Petal Ps Overlay #9 "Floating"
It is best to use for photos with natural light. This overlay #9 was taken from "Rose Petals"
A selection of the Photoshop rose petals overlays with red petals. Here you will see a large number of very small petals which are located at the top. It allows using this effect in various genres of photography. Rose Petal Overlay #10 "Red Magic"
Graphic designers can borrow some ideas from this kind of overlay. The professional photographers can always add finishing touch to any genre of their photos. This overlay #10 was taken from "Rose Petals"
This layer with red petals finishes our selection of free rose petals overlays. In the background, there are hardly visible petals. The main number of petals is of medium size, and almost all the petals are located throughout the photograph. In the foreground, several large petals are out of focus. Experiment with our falling rose petals photo overlays free download, use them at your pleasure and create unique digital photography product in the form of a beautiful image. 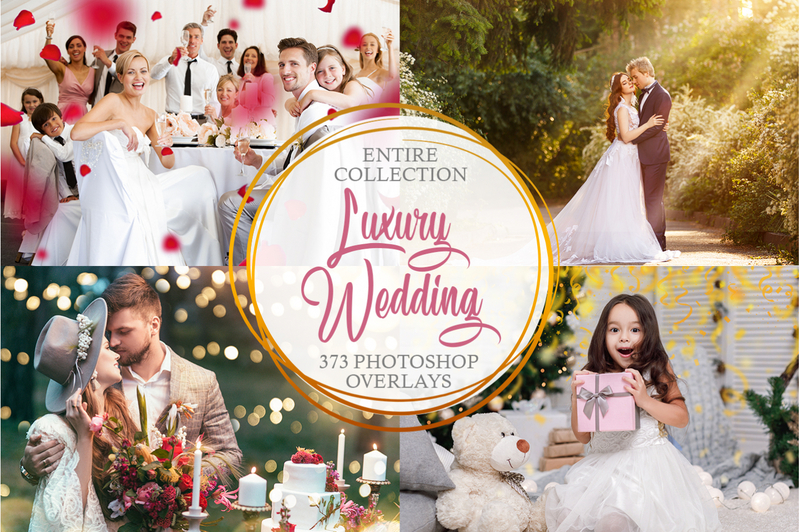 You will not be mistaken if you choose this collection because A) it's free, B) it's convenient, B) all the overlays are done by the experts, D) it's creative. Start to make something beautiful right now!